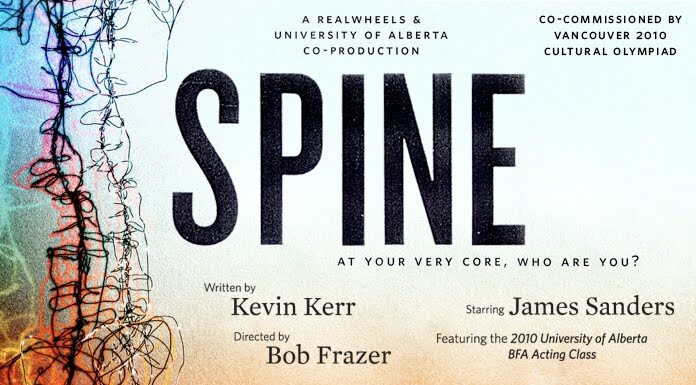 Click on this image for the Playbill from Spine. 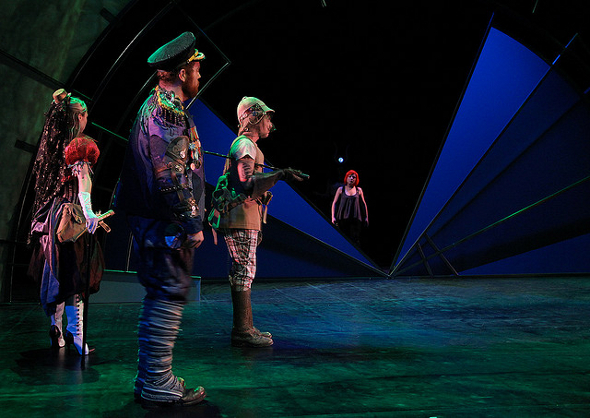 The creators of Skydive take you on a new adventure in virtual reality! 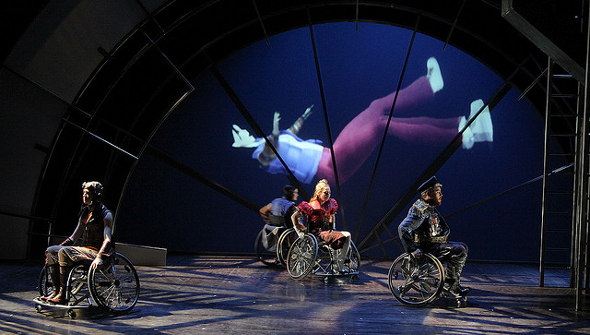 Making waves in the arts and disability scene, SPINE was co-commissioned by the Vancouver 2010 Cultural Olympiad and presented by SFU Woodward’s Inaugural Program as part of Vancouver’s Cultural Olympiad, coinciding with the 2010 Paralympic Winter Games. 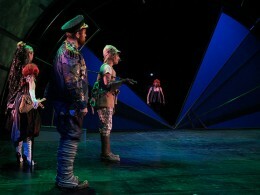 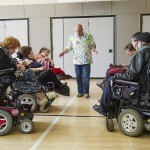 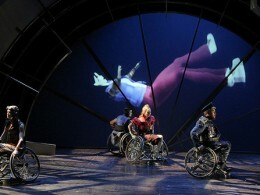 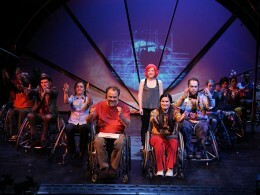 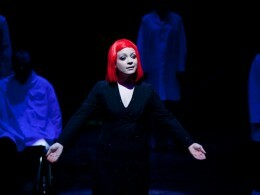 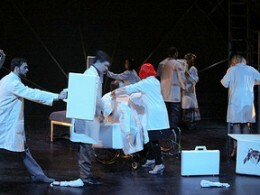 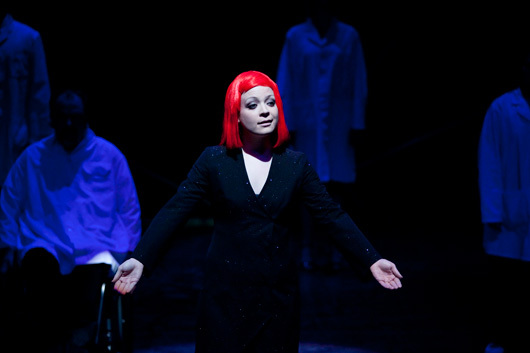 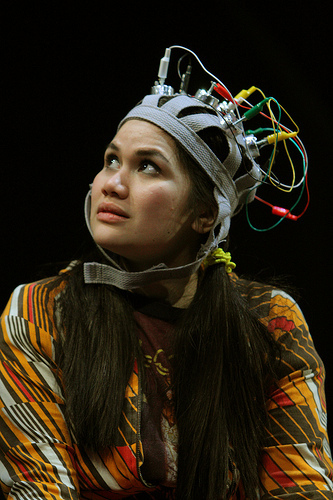 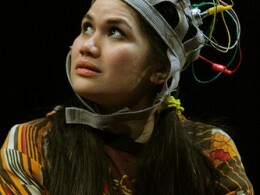 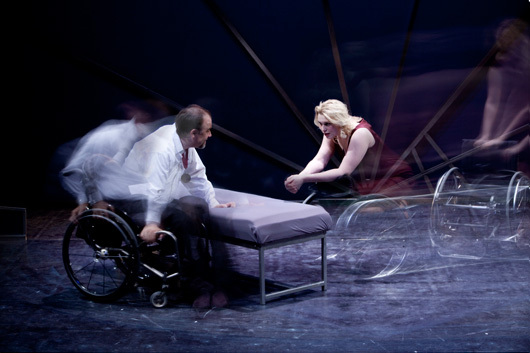 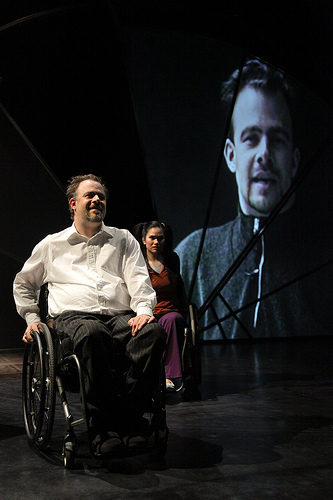 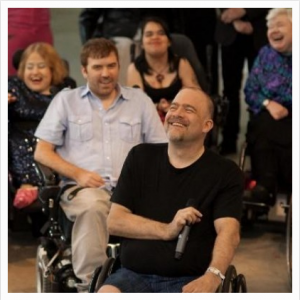 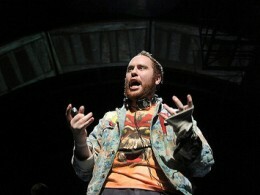 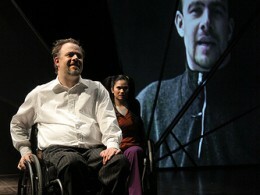 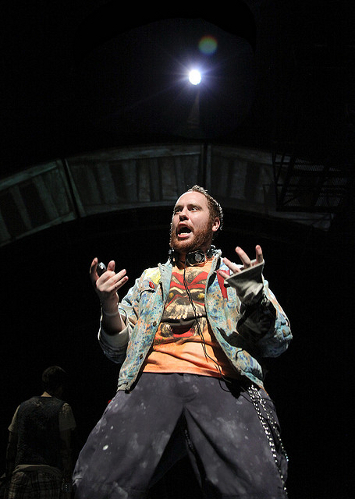 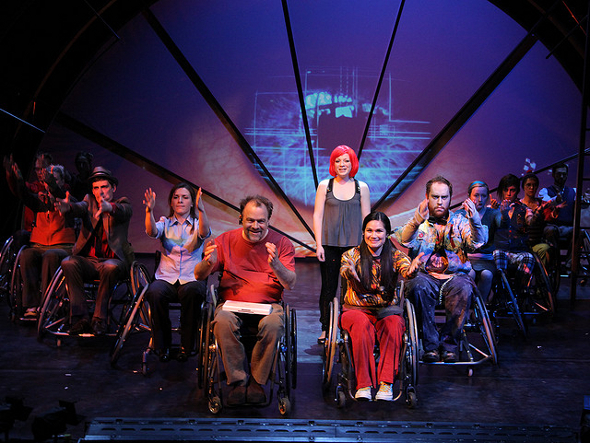 SPINE was one of Realwheels’ most fast paced, sensually evocative theatre plays. 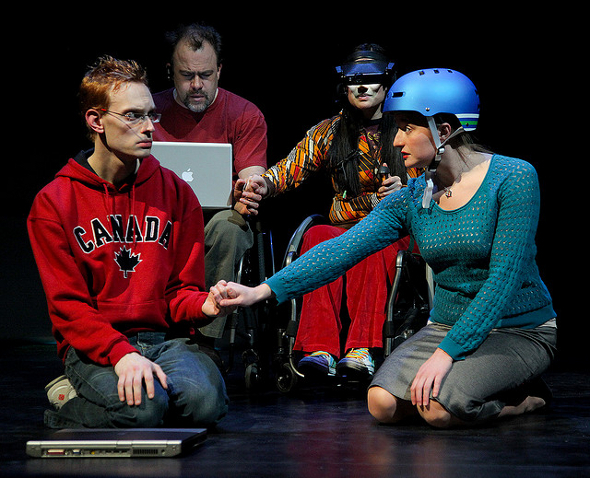 It playfully explored identity in the face of a sudden life transformation pushing the boundaries of technology along the way. 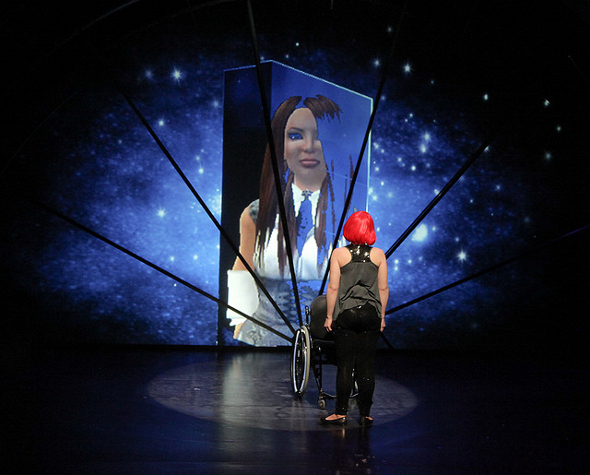 Utilizing imaginative functions of video screens, three-dimensional projections and actor-influenced soundscapes, it met James Sanders ambitions as he says, “My interest in the technology is to meet the demand of a more contemporary audience, and to try and attract people into the theatre who wouldn’t normally go because theatre is more traditional.” Audiences attending SPINE were taken into a virtual universe where avatars provided a seductive opportunity to reinvent one’s body and soul, free from the boundaries of human physicality and conventional morality.